How does operation and regulation work? Water is an ordinary and everyday part of our lives, yet it requires much effort to deliver it to us. Understanding the systems, operations and regulations required to provide community’s with safe, drinkable water is part of your responsibility as a community official. In the United States, there are over 151,000 public water systems in operation. The U.S. Environmental Protection Agency (EPA) classifies these systems according to the number of people they serve, the source of their water and whether they serve the same customers year-round or on an occasional basis. Most public water systems are owned by the municipality they serve or a regional consortium of communities such as a Water Commission or Joint Action Water Authority (JAWA), but they can also be owned by private companies, nonprofit corporations or individuals. Local officials must account for everything from ensuring enough supply, to water-quality monitoring and treatment, to service operations and infrastructure maintenance, to ensuring regulatory compliance. Public water systems deliver a public service and charge a fee for this service in much the same way as energy or telecommunication utilities. They are responsible for operating the necessary treatment and distribution systems to reliably deliver safe drinking water. A public water system is so named because water is delivered to the public, however, this utility may be publicly or privately owned. There are two forms of private sector participation in public water systems: If a water system is fully privatized, assets are owned and operated by a private company. The company charges fees to water consumers to recoup capital and operational expenses. If there is a public-private partnership, ownership of assets remains public and certain functions (e.g., operation of the drinking water treatment plant) are assigned to a private company for a specific period. In Illinois the majority of public water systems are publicly owned. The Barrington Area Council of Governments (BACOG) has approximately 7,800 private wells in an 80-square-mile area. In order to help its residents better manage their private wells, BACOG provides educational materials and facilitates regular testing. In partnership with Lake County Health Department, BACOG offers local purchase of bacteria/nitrate test kits at village and township offices plus central local collection and delivery of water samples—all at reduced rates for residents. Lake County’s laboratory conducts the tests, and residents benefit from the education provided by this program. By proactively providing education and testing, BACOG is helping to ensure its residents have safe drinking water when using private wells. There are also many people in rural and unincorporated areas of Northeastern Illinois who supply their own drinking water via private wells on their property instead of being connected to a public water system. The sole party responsible for providing the drinking water, maintaining the infrastructure and testing for water quality is the private property owner. The U.S. Environmental Protection Agency and other federal and state agencies recommend annual testing of private well water for bacteria and nitrates. Bacteria can enter a well or household plumbing system through contaminated stormwater flowing over a weak well cap, seepage through a cracked well column or the opening of the indoor plumbing system for repair or replacement of equipment. Bacteria are mostly invisible and odorless but they can make people sick. Unfortunately, not every well owner knows that he/she is solely responsible, or how to keep water clean and safe for their family or business. are standards set by the United States Environmental Protection Agency (EPA) for drinking water quality. An MCL is the legal threshold limit on the amount of a substance that is allowed in public water systems under the Safe Drinking Water Act. The Safe Drinking Water Act (SDWA) was enacted by Congress in 1974 to ensure water supply systems in the U.S. are providing good quality water to consumers. The Act authorizes the U.S. Environmental Protection Agency (EPA) to establish minimum standards for drinking water and requires all owners or operators of public water systems to comply with these health-related standards. The SDWA’s program to regulate drinking water quality is called the Public Water System Supervision program. Utilities are responsible for regularly testing the quality of drinking water and comparing the test results to the health-based standards, known as Maximum Contaminant Levels or MCLs. There are MCLs for bacteria, metals such as chromium and lead, inorganic chemicals such as arsenic and nitrate, and organic chemicals including pesticides. All these contaminants can cause serious health concerns if they are present in excessive levels in drinking water. For example, high levels of bacteria in drinking water can cause gastrointestinal problems. If a utility violates an MCL requirement, it can be fined up to $25,000 per day until the violation is resolved. In addition, the water system must provide public notification which explains the nature of the violation, the health implications and steps consumers should take. All violations by a utility are listed online at the EPA’s Drinking Water Watch website where communities, consumers and interested parties can view them. Providing an annual, comprehensive consumer confidence report is not only required, but it can greatly assist your community in keeping customers informed and confident that their utility is providing them with quality service. CCRs also provide a useful opportunity for utilities to communicate with their customers about water rates, billing information and infrastructure conditions. For more information on CCRs, please see the EPA’s website. The Safe Drinking Water Act provides State governments primary authority for implementation, as is the case in Illinois. While the EPA establishes health-based standards at a national level, the Illinois EPA is responsible for the day-to-day implementation of the drinking water program, among other things. In addition to the federal requirements of the SDWA, there are State of Illinois requirements that apply to community public water systems. State requirements can be found in Subtitle F of Title 35 of the Illinois Administrative Code and are implemented by the Illinois EPA. The Maximum Contaminant Levels and monitoring requirements generally mirror the Federal requirements. However, Illinois established additional programs and requirements to strengthen public health protection. Our state’s drinking water program also includes requirements for permitting, including construction and operating permits for community water supply systems. Construction permits are issued for new or modified water supply systems—for example, when a community is planning to change its drinking water treatment facilities. Operating permits are issued after construction projects are completed and the new or modified system will be going into operation. The permits program ensures that system components are properly sized, designed and operated so that the system will reliably provide safe water. The State of Illinois can issue emergency permits whenever emergency conditions require immediate action. There are Illinois-specific requirements for regulated recharge areas which protect water sources in areas where the groundwater is susceptible to contamination. For example, facilities or operations that could pose a risk to the groundwater (e.g., a municipal solid waste landfill) cannot be located within a delineated, regulated recharge area. Additionally, counties and municipalities utilizing a community water supply are authorized to establish maximum setback zones, up to 1,000 feet, around their well(s). Setback zones—as the name implies—are areas where certain operations are restricted, facilities and activities that could pose a risk to the groundwater being used as a source of drinking water. Illinois EPA also operates the State Revolving Fund low-interest loan program. More information on this program is provided in section GO of this guide. As mentioned above, the US EPA is the ultimate regulator on safe drinking water for communities. And Illinois EPA is the state enforcement agency for these safe drinking water standards. However, there are a number of other governmental units that have roles related to safe drinking water. The following highlights these various agencies and their regulatory jurisdictions. The IDPH creates and regulates standards for and provides oversight of non-community water systems. A community water system provides daily water to residents and businesses through a distribution system. A non-community system is a stand-alone business or institution that has its own well and provides drinking water to people at that location. Schools, day care centers, factories and restaurants that have their own wells and supply water to people are examples of non-community water systems. IDPH also provides information to private well owners. There are also requirements for entities that wish to drill their own drinking water wells. 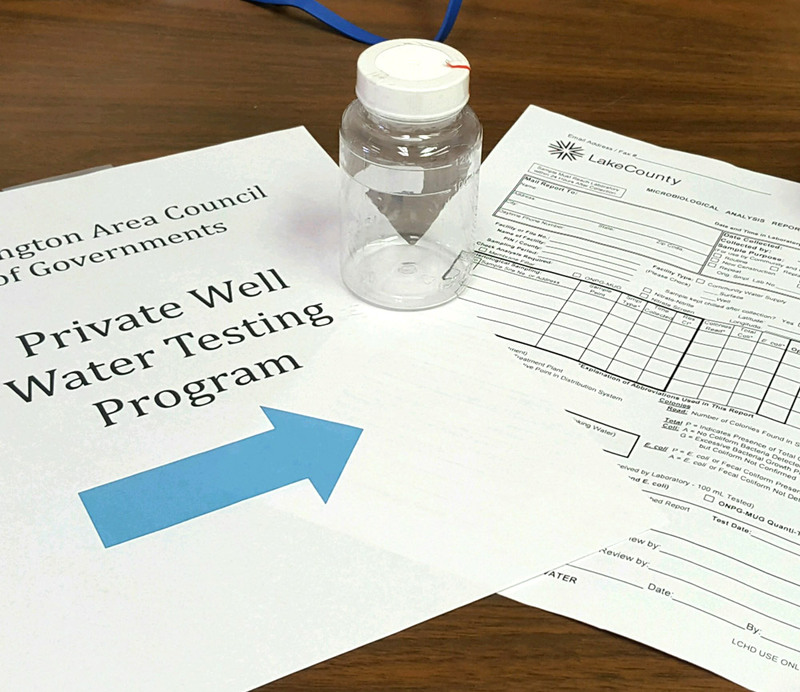 To ensure the safety of these water supplies, the IDPH and local health departments review well installation plans, issue permits for new construction and inspect wells. IDPH is also responsible for reviewing and approving plumbing code related standards that impact drinking water utilities. As mentioned previously, a small percentage of communities are provided drinking water from a privately owned utility. These utilities have an additional layer of regulatory oversight, administered by the Illinois Commerce Commission (ICC), which oversees rate setting and utility organization, such as a merger of two or more utilities, both of which must go through due process and be approved by the ICC. Illinois has a limit on how much water it can withdraw from Lake Michigan, a quantity which was set by a U.S. Supreme Court Decree. The State of Illinois’ Lake Michigan Water Allocation is overseen by the Illinois Department of Natural Resources (IDNR). Illinois’ Lake Michigan Diversion is made up of three components: domestic water supply, direct diversion and stormwater runoff. Domestic water supply is used to serve communities and industries within our region. Any use of water from Lake Michigan within the State of Illinois is authorized by, and requires a permit from, the IDNR. All domestic water allocation permittees (drinking water utilities) are required to submit an annual water audit form. IDNR uses these forms to track individual users’ compliance with the conditions of their allocation permits. Additionally, all utilities that produce drinking water from Lake Michigan must submit a monthly form which shows daily water usage numbers and the amount of water sold to other permitted drinking water utilities. IDNR also regulates water withdrawals from other surface water such as the Fox and Kankakee River. These regulations enable IDNR to permit and limit water withdrawals based on required flow rates in order to protect these water sources from overuse and environment damage. Another state agency that plays a role related to drinking water systems is the Illinois State Water Survey (ISWS). ISWS is responsible for the Illinois Water Inventory Program. This program compiles and maintains records on annual water withdrawals and water use information, which helps the region and your community understand current water demand compared to available supply. Reporting to ISWS on water withdrawals and water use is mandatory for public water suppliers, industries that withdraw and use water as well as irrigation water users. Is our drinking water utility publically or privately owned? Do we have any private well owners in our municipal boundary? If so, do we know who they are and how much they are pumping? Do we provide any educational assistance to ensure they have safe drinking water? Do we have any current or recent drinking water violations or compliance issues we need to attend to? Is an annual Consumer Confidence Report (CCR) going out to our customers? What is the process for quality control on the accuracy and recording of all our water reporting requirements? National Environmental Services Center. A Drop of Knowledge: The Non-Operator’s Guide to Drinking Water Systems. Morgantown, WV. 2011. United States Environmental Protection Agency. 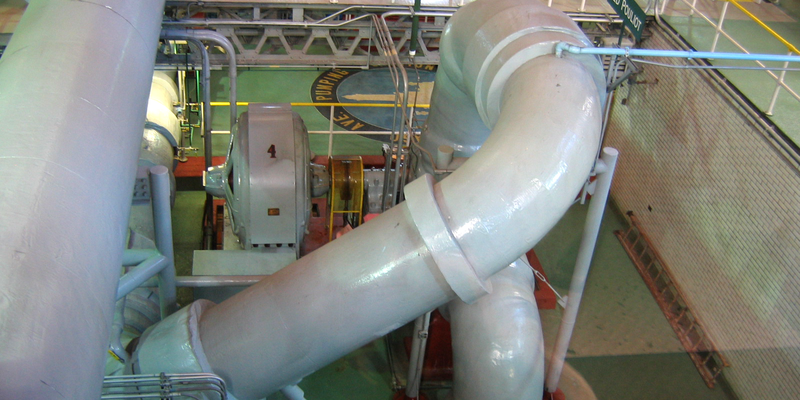 Information about Public Water Systems. Washington DC. 2017. United States Environmental Protection Agency. Understanding the Safe Drinking Water Act. Washington DC. 2004.